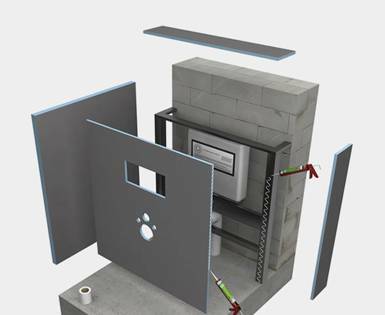 Quick and easy to install, in no time at all. 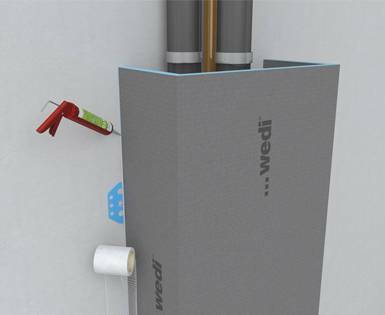 The cladding of bathtubs, WC dry wall installations or pipes can be quickly and easily achieved with wedi prefabricated elements. 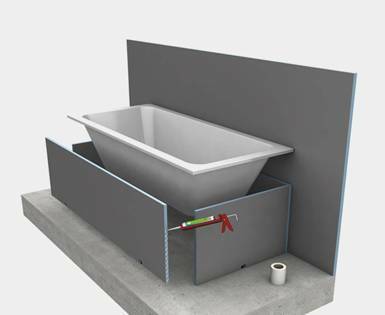 The practical elements can be easily adapted to virtually all needs; and are extremely strong and robust. After having been installed, the surfaces can be covered with tiles or plaster; or they can be painted.